In this post we will learn, how to enable and configure SSL on ownCloud installation. Note: The above certificate is valid for 365 days. We have mentioned validity days in the command. Once the lines has been modified Exit and save. 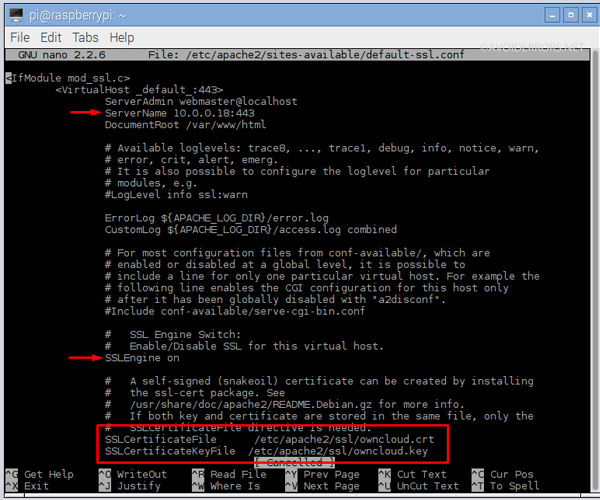 The Enable SSL on Raspberry PI Owncloud video tutorial applies for Ubuntu, Linux and Raspbian. I have tested this my self. Many thanks from France, with your tuto SSL runs like a charm from now ! The part where ServerName for adding port 443 would be did not appear, it was a blank space. I added it, but it came back with an error as an end result.